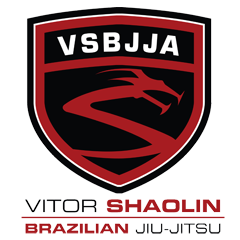 ViTOR SHAOLIN TV: Shaolin makes the Top 25 Brazilian Fighters of all Time! Shaolin makes the Top 25 Brazilian Fighters of all Time! Shaolin ranks in at number 17 for the top 25 Brazilian Fighters of all time list according to Bleacher Report! "Vitor “Shaolin” Ribeiro is an extremely accomplished grappler and BJJ black belt who was a top-ranked lightweight for several years in the mid-2000s. From 2001-2004, Ribeiro defeated such competition as Joachim Hansen, Mitsuhiro Ishida, Tatsuya Kawajiri, and Ivan Menjivar before losing his first fight in a rematch to Kawajiri. He then when on another incredible streak, accumulating nine straight wins in a row before losing to Gesias Cavalcante in the K-1 Heroes 2007 Middleweight Grand Prix finals. Ribeiro was recognized as an MMA world champion in Japan’s Shooto organization and Britain’s Cage Rage organization. In recent years, Ribeiro has stumbled against top competition, but at 31 years old, he may not be past making a comeback to the world’s elite."